Our carpets really needed cleaning with all the rain that we have had lately. We have a home use Bissell rug shampooer and a Bissell SpotBot but ma said the rugs needed an extra oomph. We needed a machine with the power to show our dirty carpets who was boss. Since we can't afford to change carpets, we have to try to keep ours decent. 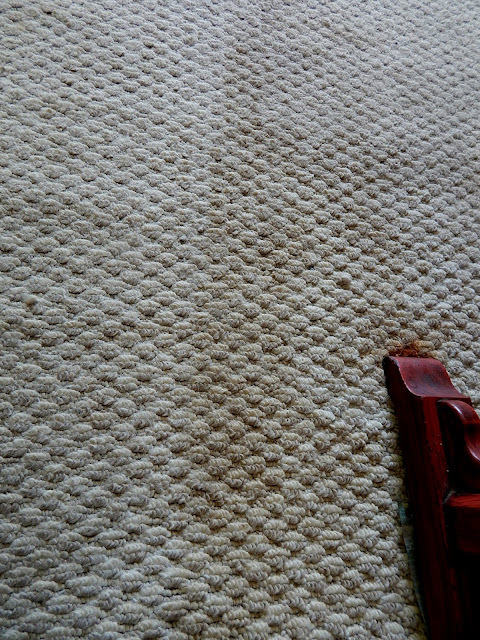 We want to share our experience of renting the machine, cleaning the carpets, the whole process. I was not paid nor encourage to do this review but I feel my readers may like to know how easy it was to rent and to use. The following are our thoughts. Bissell nor PetSmart are responsible for this content. We downloaded a coupon to use and want to share our thoughts. We headed to our local PetSmart and located the rental kiosk with no problems. It's right in front of the store. A 24-hour rental is $29.99 (prices may vary at different locations), you can also rent the hand tools to get to the out of reach places or to shampoo vehicle carpets. The hand tools are an additional fee. PetSmart has cleaners that can be used in the machines. They have carpet shampoo for regular soiled rugs, spot cleaners, and those with older pets, ailing pets, moms who spill everything or just sneaky dogs. They have cleaners with odor eliminators. 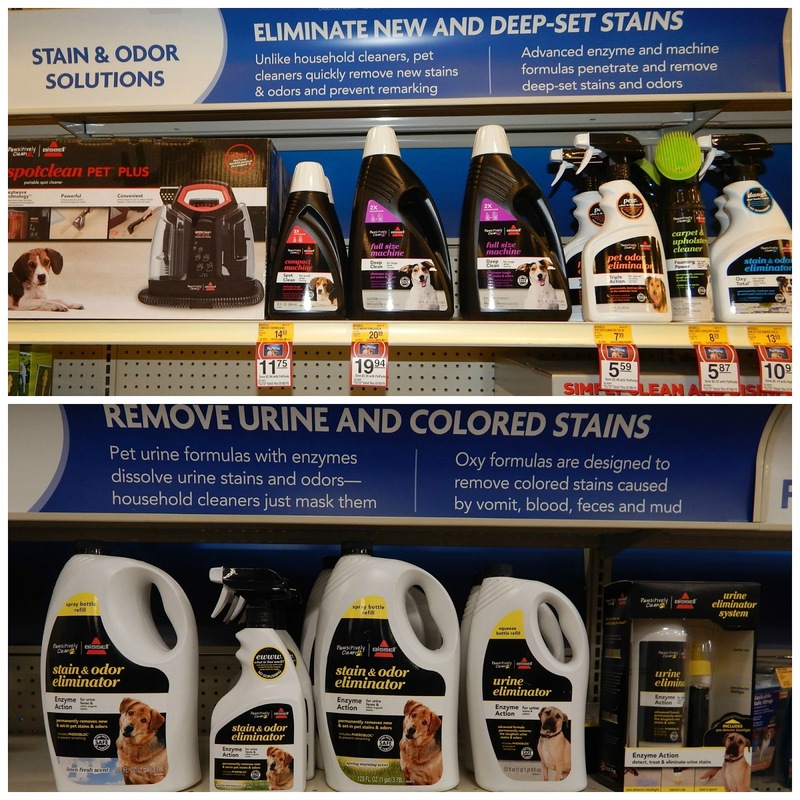 It cleans urine stains but adds an enzyme to dissolve the odor so your pet doesn't re-soil the same spot. It does not work on moms who spill everything. 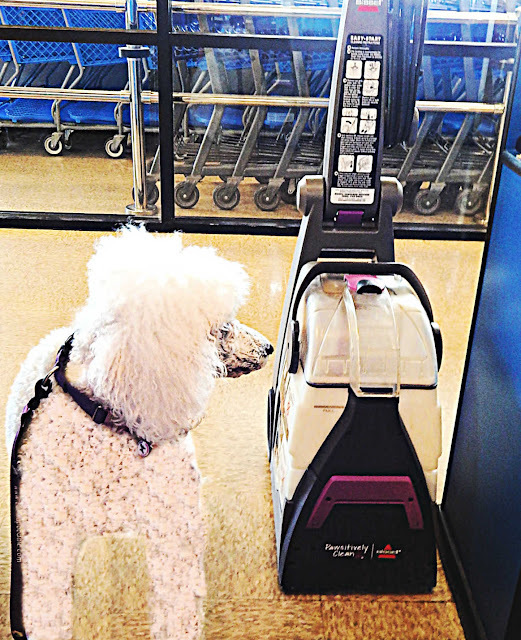 We told the cashier that we would like to rent the Bissell Pawsitively Pet machine and showed her the coupon. They unlocked the kiosk and brought the machine out. Ma filled out a rental form while the nice lady got the information off the machine she needed. The whole rental time to complete was less than 10 minutes. You look small for the big job ahead of you. The machine is smaller than other brands we have rented. The handle folds down so we were able to put it in our small car's trunk with no problem. It was light enough that ma was able to get it in and out without assistance. She got it in the trunk but had sissy Sarah take it out and into the house. Ma thought she would spend all her time emptying and filling the machine. She was proved wrong. The machine doesn't use as much water as others we have tried. The carpet isn't soaked which makes it much better for the padding under the carpet. The carpets dried quicker than was expected. With one pass of the machine, we could really see a difference. This machine showed that dirt, coffee/RC spills and other stains that ma says I can't talk about were no match for it. Those spills went down the drain when ma emptied the machine. Ma took our big sectional rug outside and shampooed it. We wanted to see if the water went through the rug. It didn't. The rug turned out amazing! Unfortunately, we forgot to get photos but take my word. It really looked nice. Ma did 3-12X12 rugs in less than 6 hrs. That included the breaks she took in between. We took the machine back early. We have a few stains that did not come out but they have been there for years. This machine will not perform miracles on a 15-year-old carpet. It did make it look and smell much much better. There is a $15 deposit that has to be paid when renting the machine. You get your money back when you return the machine. Would we rent this machine again? YES! I was trying to think of any cons about this machine but I really can't come up with any. 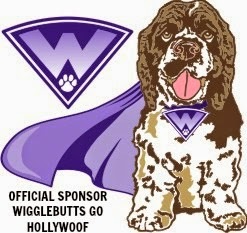 It's lightweight enough that doesn't feel like you are pulling a wagon of heavy dog food. It moved easily from room to room. Easy to clean before returning to store. Have you or would you rent a Pawsitively Clean Bissell machine? If you visit their website you can get tips on how to clean up pet messes, find out more about the Pawsitively Clean system and print coupons for money off products or rentals. Good info. I've used Stanley Steemer and they moved the lighter furniture. Maybe I'll try renting a Bissell. If you want to go around the furniture or just do the paths that are walked on the most, this machine will do the job. It was no harder to operate than a vacuum cleaner. Thank you Carma. I can't find my coupon and I really, really want to use it!!! We had to search for ours too. They only gave everyone 1 coupon. I wish I could have got a extra to giveaway to my followers. Ma lost their business card or maybe she didn't get one? Hope you find your coupon! Cool! Thanks for this Carma! I have so been wanting to rent one because my carpets are the worst. Mostly from kids. My boyfriend is worried about the carpets being wet for a long time and having to leave for a day or something. Sounds like this isn't too bad though. The carpets dried much quicker with this machine then when ma uses the other brand or dad brings the commercial cleaner home from work. For the heavy traffic areas she just put down towels until the carpet was totally dry. I think you will love this machine. We were walking on the carpets in about a hour. Impressive results and a great review. I just may have to use that machine the next time I shampoo carpets. Who am I kidding, I barely have time to vacuum! Haha. Seriously, I will check it out. Thanks! I know what you mean. There are weeks that it is crazy busy around here. Good news is that using this cleaner is as easy as using a vacuum. Perfect timing for reading this as 'rent carpet cleaner' is about to show up on my to-do list. It is surprising how muddy little poodle paws can get! I normally go with rug doctor, but am feeling swayed to try Bissell this time! Thanks! Yes those paw prints can dirty up a carpet in no time. 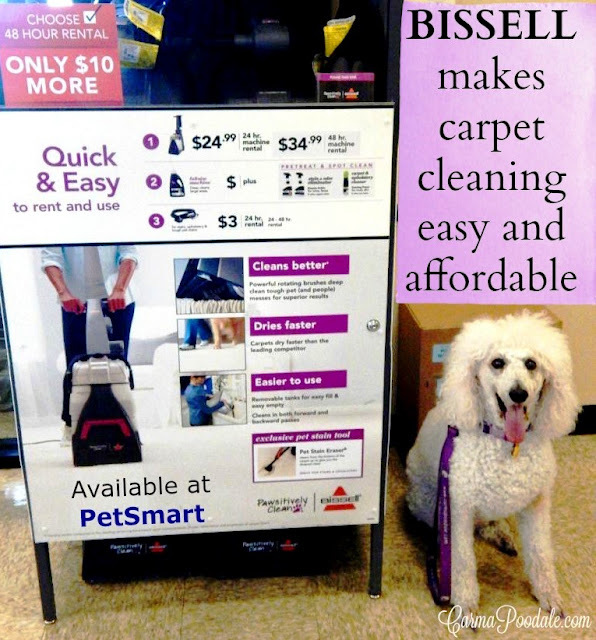 I really think you will like how easy it is to use the Bissell and it does a amazing job cleaning those poodle prints out of the carpet. 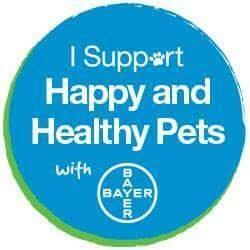 I have rented Bissell carpet cleaning machines in the past so I will definitely keep the Pawsitively Pet machine and PetSmart in mind for my next time! nice! it's such the best vacuum ever! That is awesome! I love that it's so lightweight. I think my son would have fun using it too.